Summary THE COMMUTER is a US mystery thriller in which a man is caught in a conspiracy during his commute home. 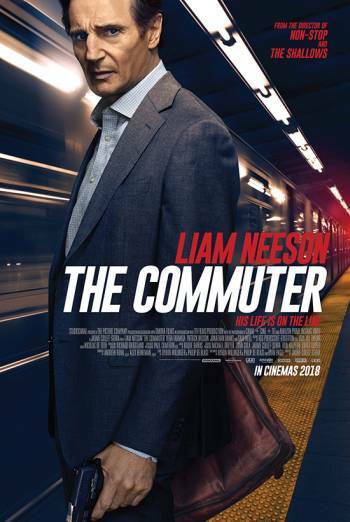 THE COMMUTER is a US mystery thriller in which a man is caught in a conspiracy during his commute home. Scenes of strong violence include extended sequences of hand-to-hand combat featuring heavy punches and kicks delivered to faces and bodies. In one scene a man stabs another man with a knife. In one scene a dead body is discovered with bloody facial injuries. There are references to a man ending his life, though this is not shown. There is a sense of moderate threat throughout.